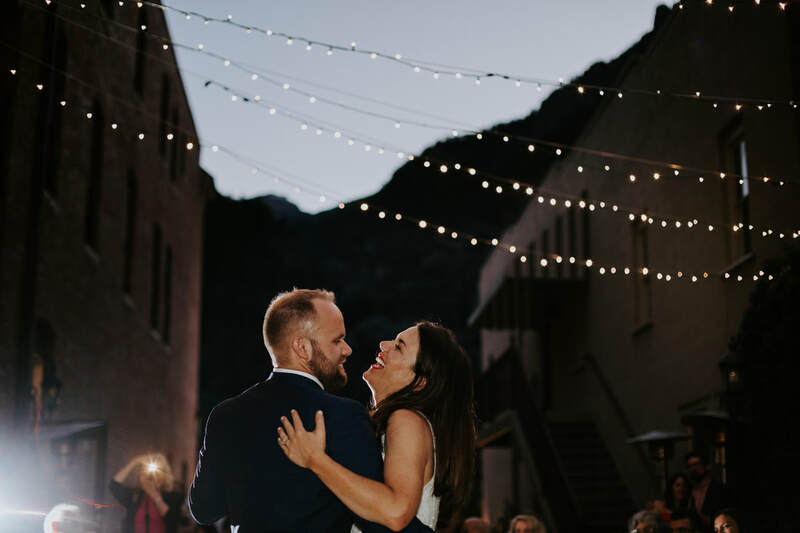 The Garden Courtyard features a romantic terraced European garden atmosphere with twinkle lights & is an intimate setting for your outdoor reception in Ouray. 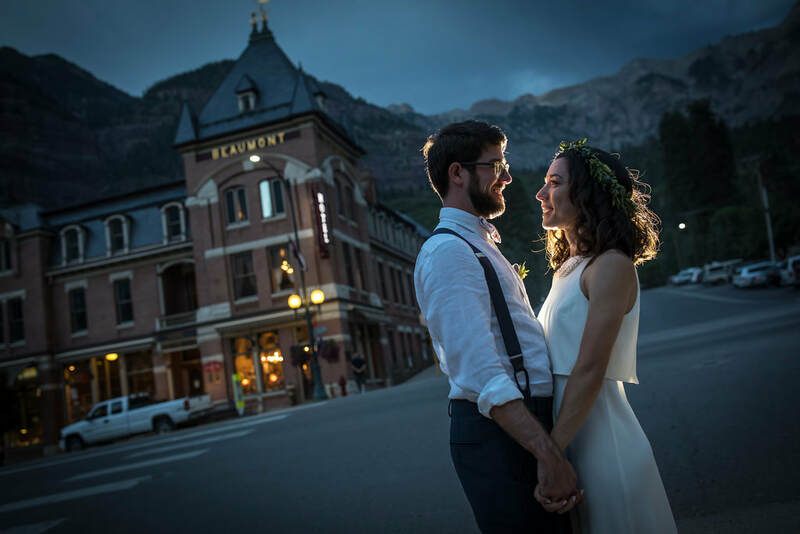 Conveniently located adjacent to Beaumont Hotel & Spa but far enough away from Main Street, it provides a quiet, intimate location for your reception. The raised platform at one end is the perfect stage for a band, musician or deejay to perform. The adjacent dining room offers a relaxed atmosphere for additional seating or to use as a dance floor with the bar by its side. or up to 200 for cocktail-style receptions. 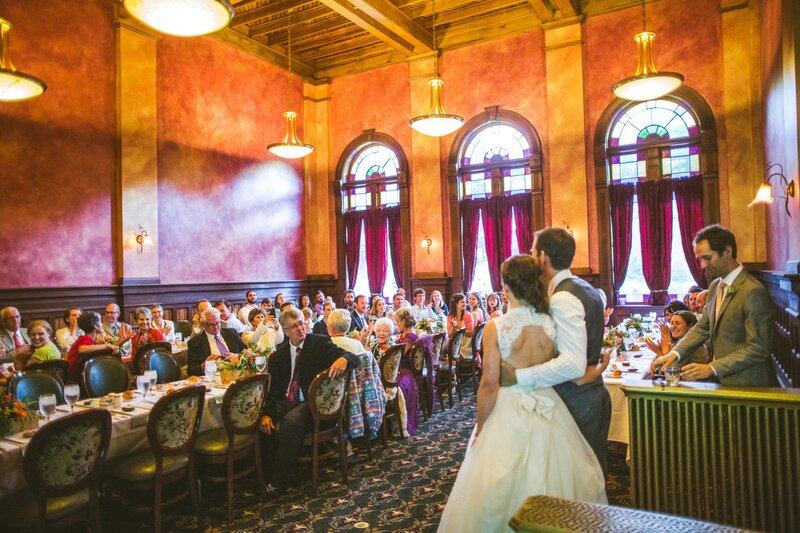 The Historic Grand Ballroom offers an elegant, glamorous, romantic and classic setting for your reception. Kings, Presidents and many of the rich & famous have dined in this room over the last 125+ years. The Ballroom features magnificent 21-foot ceilings met by hand-painted plaster walls that emanate old-world charm and elegance. The original gothic stained-glass windows open the space to incredible mountain vistas. The historic orchestra balcony overlooking the ballroom is perfect for presenting the new couple, making toasts & tossing the bouquet. It is also ideal to host musician ensembles, allowing the music to create an enchanting atmosphere from above. Luella's VIP Lounge, adjacent to the Grand Ballroom on the second floor of the hotel, exudes a sense of glamour, privacy, intimacy and upscale exclusivity. It features an outdoor balcony for your guests to enjoy amazing views of Cascade Falls and the surrounding mountains. The fully-stocked bar offers nearly any libation your guests could desire, including an expansive wine list featuring vintages from around the world. 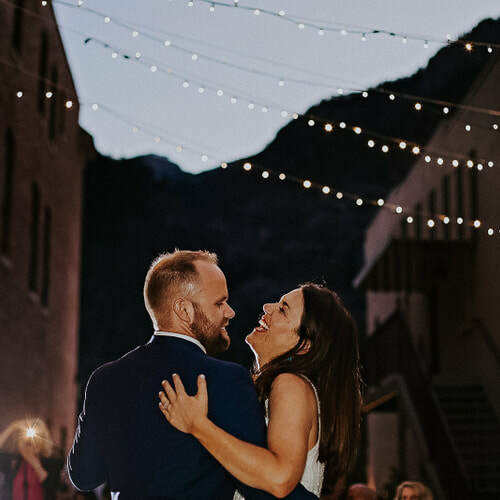 "Thank you so much for your tireless work and patience in making our wedding reception an event we will always remember. ​Everything was beautiful and you deserve much of the credit for that. All of our guests continue to remark on how wonderful The Beaumont is... "